Another place they appeared at frequently (as the 4 Lovers), was in Keansburg NJ at the original Miami Club, on the boardwalk. Grew up going there too. So glad I was able to be apart of that. Right across 22 from there was and still is (in some form) the big ship building. My bowling team took 1st place on the Monday Night Men's League in 1980-81. 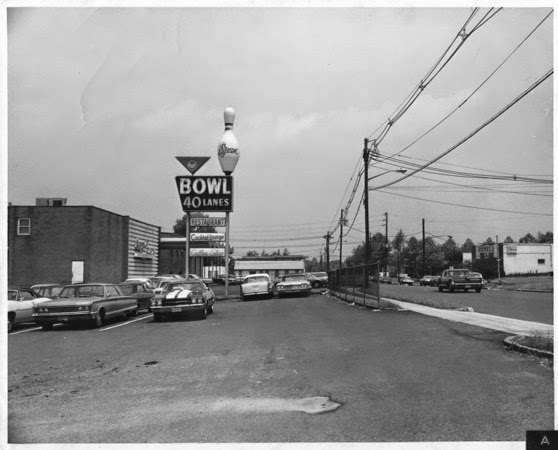 I want to go bowling there now, but some real estate agent decided to knock it down and build a Costco's. As if we don't have enough of them! I say rebuild the bowling alley exactly the way it was and let the 4 Seasons be the first act to perform there. I had my first date - a double date - at the age of 12 at the Four Seasons bowling alley! Memories! It's a shame that such an influential and important landmark in rock and roll history was demolished for a Costco. Would love to see it rebuilt elsewhere for posterity. I grew up I. Union as well....had many fond memories of Four Seasons. Another spot is Petersons Hot Dog Stand( now Gallopping Hill). Lots of Union History there! Thanks . Wow...I grew up in Union.. ..graduated Union HS ...worked at Two Guys (then located right near Four Seasons)...bowled in a league, took a bowling class for a credit from then Newark State College... spent many after work dates there.....visited the "lounge"---saw the Duprees there-----and I never heard this story! Brought back many memories.